Alexander House is located on St Matthews Street in Ipswich and is a refurbished neo-classical building offering character along with the benefits of modern day living in the heart of a thriving town. This sought after location provides easy access to public transport links with the railway station just 10 minutes away, making it ideal for commuters with train services to London, Norwich and Cambridge etc. 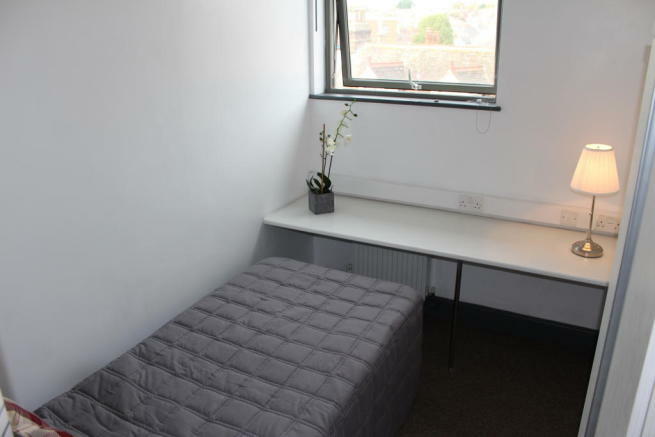 Within walking distance of the University Campus of Suffolk (UCS) our purpose built studio rooms offer value for money and practicality to students. Each en-suite room is fully-furnished and includes broadband connection and all bills are inclusive. Flexible tenancies with a minimum stay of 1 month (and 1 month's notice thereafter). LOW deposits, all of which will be held safely by the Deposit Protection Service. LOW - highly competitive administration and agency fees. High-Speed Broadband and access to internet. ALL bills are inclusive e.g. water, electricity, gas and a communal TV Lounge license. Please note should you choose to have a TV in your room, you will be liable for purchasing your own TV Licence. Professional Cleaners who ensure the communal areas remain clean and tidy for your enjoyment. A dedicated maintenance team contactable 24/7. To secure a property/room after viewing, an admin fee is charged for each applicant. Please visit www.yourddvisors.co.uk for a full list of our administration fees or contact us for further information. This property is marketed by Your Advisors, Ipswich at £360 per month. Rightmove has calculated the price per week for comparison purposes only. Property reference 201806_88. The information displayed about this property comprises a property advertisement. Rightmove.co.uk makes no warranty as to the accuracy or completeness of the advertisement or any linked or associated information, and Rightmove has no control over the content. This property advertisement does not constitute property particulars. The information is provided and maintained by Your Advisors, Ipswich.